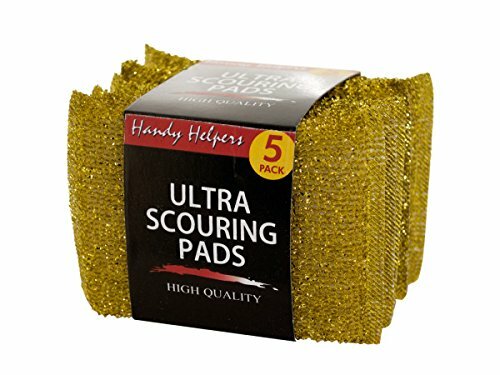 Great for tough jobs in the kitchen and more, this 5-piece Metallic Ultra Scouring Pads Set will help you clean up any stuck-on foods. Great for scrubbing the stove too! Each pad measures approximately 4 3/4" x 3 1/2". Comes in assorted colors. Comes packaged with a wrap around. Approximate Package Weight: 53.28 lbs.